Expands the base unit from 2 to 8 ports & adds control capabilities. - powered by the base unit. - plug & play. - 4 dry contact inputs for 3rd party systems. - 2 dry & 2 relay outputs for automatic control. - max 1 expansion hub per base unit. Take the video tour or view the SensorHub in 360°. 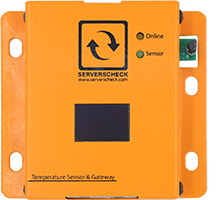 By default the SensorGateway can host up to 2 external sensor probes. In some cases 2 sensor probes may be insufficent. This is where the Sensorhub comes in. Similar as a USB Hub, the Sensorhub allows to expand the number external probes which can be connected to a SensorGateway. 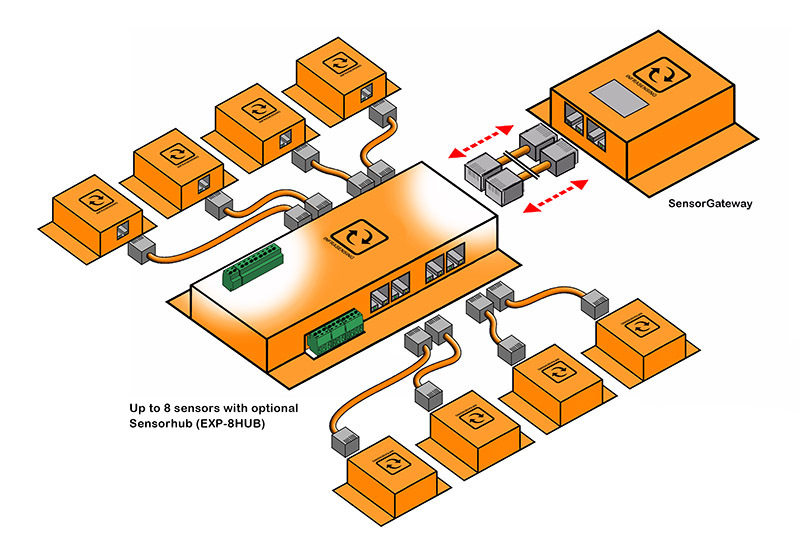 The Sensorhub connects through the included RJ45 cables to the SensorGateway and increases the monitoring capabilities from 2 external sensor probes to 8 sensors. On top of the 8 ports, the Sensorhub features 4 dry contact inputs, 2 dry contact outputs and 2 relay outputs. The 4 dry contact inputs allow you to connect any dry contact sensor like motion, smoke, door contact or any legacy equipment featuring a dry contact output. 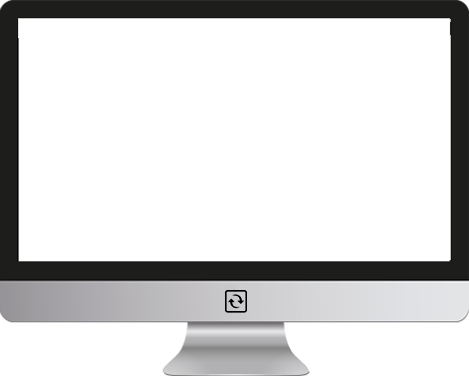 The alert on the dry contacts can be set at an OPEN or CLOSE state. With the SensorGateway and Sensorhub you can not only monitor and alert on sensor values but also take actions. For example when a temperature alert is triggered, you could kick start a back up airconditioning unit.